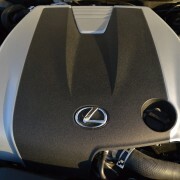 The descriptor that comes to mind regarding the IS350 is silk. 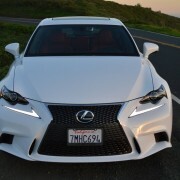 The car, especially when finished in Ultra White, looks like a bolt of that foxy material. 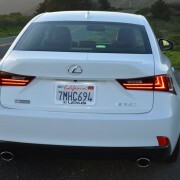 In operation, its 8 speed transmission and 3.5 liter V6 interact seamlessly. Inside, the cabin furnishings are unobtrusively situated for flawless operation. Comfort on demand is never more than a minor adjustment away. 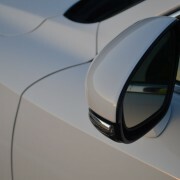 This plush, fast and comparatively affordable sports sedan defines the very essence of silken smoothness. 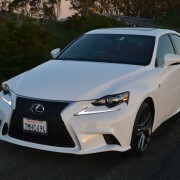 You will never experience the following failings in an IS350: harsh ride, jerky shifts, engine imbalance, passenger discomfort, handling deficiency, lack of power. 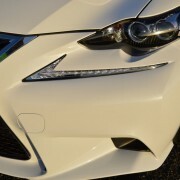 One look at the IS350 equipped with the F Sport Package ($3,155) might lead you to assume that its ultra low profile Dunlop Sport Max tires (225/45R18 front, 255/35R18 rear) would degrade ride comfort excessively. 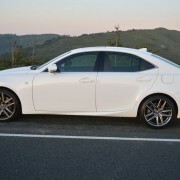 You would be mistaken in that assumption, because this Lexus negotiates the worst pavement irregularities without disrupting life inside the plush cabin. 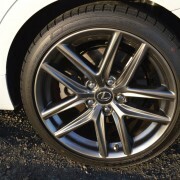 Yet when it’s time to hit the after burners for a quick trip up a back road, those gunmetal gray, split 5-spoke alloys and Dunlop Summer Tires stand up to the job. 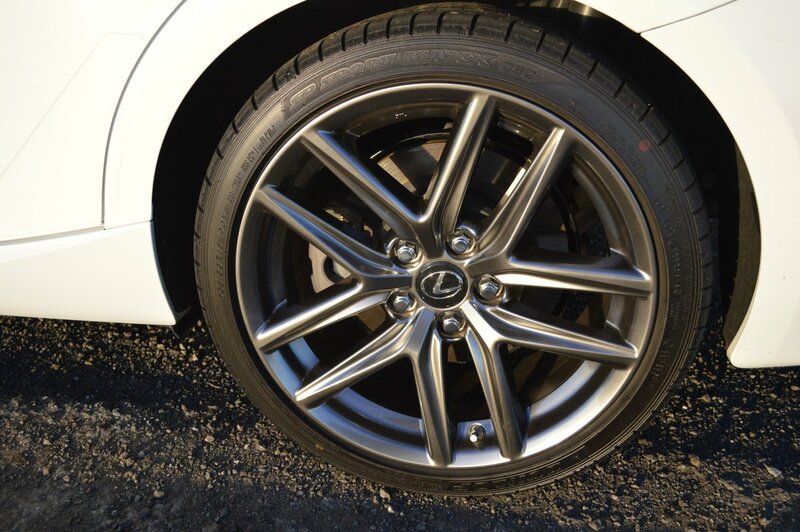 The F Sport Package includes more than just wheels and tires. 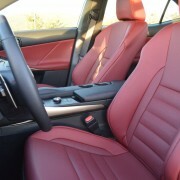 You also receive ultra supportive F Sport front seats which will lock you into position for high lateral g-Force loads. 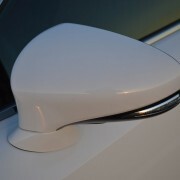 Heating and Ventilation are standard inclusions on the front sport seats. 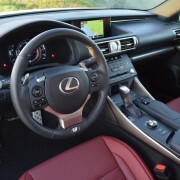 Lexus also provides a perforated leather shift knob to match the open pore grips on the leather steering wheel. Aluminum pedals add a dash of racing insouciance to the mix, and a TFT instrument display brilliantly illuminates rpm and gear number information. 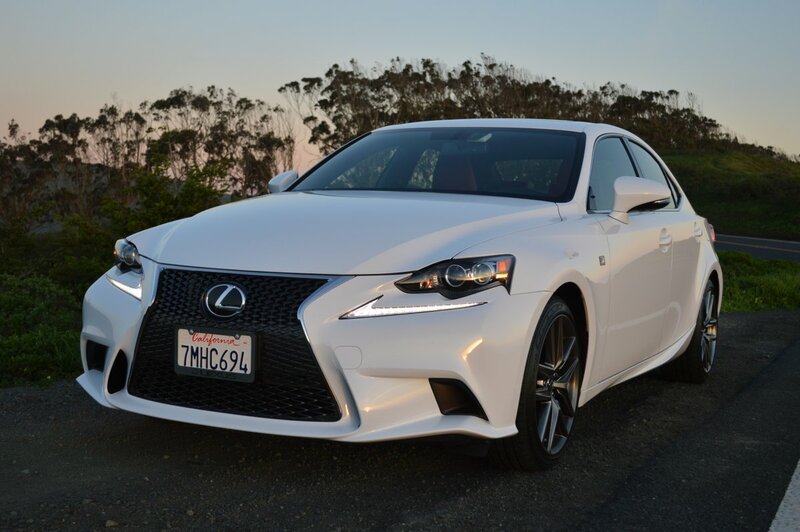 Best of all, the F Sport Package also allows you to tailor the behavior of this sedan to your need of the moment. If you’re just plunking around downtown the “Comfort” setting on the center console knob will do. But if you plan to put those sticky Dunlops to the test, you’ll want to turn the knob far right to recalibrate suspension and steering for sporting work. 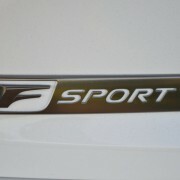 In the “Sport” mode the steering response stiffens perceptibly, while the Adaptive Variable Suspension tightens shock valving to eliminate slack. 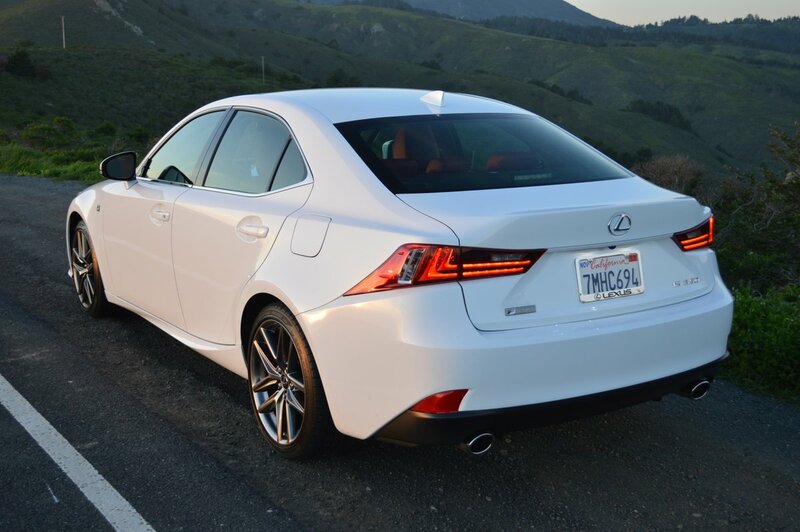 With 306hp on tap, and 8 speeds to harness that power, the IS350 is a fleet sports sedan that is fun to drive near its limit. 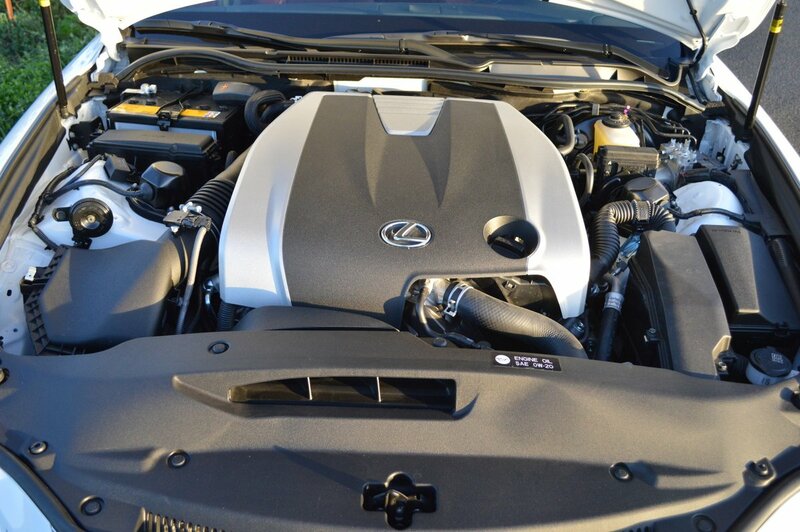 The torque output of 277lb.-ft. is sufficient to produce 0-60mph times of 4.5 seconds. 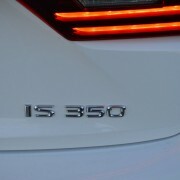 This performance puts the IS in some very fast company indeed, like BMW’s newest 340i. 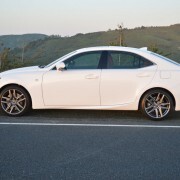 The beauty of this IS350 is that the suspension and tires are more than worthy of the drive train’s strong output. 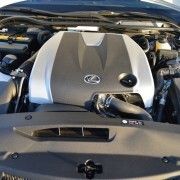 The IS350′s various parts are well integrated into a harmonic whole. 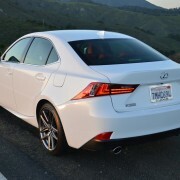 If you opt for the $2,645 Navigation System, you will also receive a one year free subscription to the newest version of the Lexus Enform Destinations service. A complimentary “App” suite is included as well, with recently upgraded selections. Also adding to the Navigation Package fun is a knockout Mark Levinson Audio System with 17 speakers, 5.1 Surround Sound, and 835 watts of output. The only demerit is that we could never figure out how to retain the “Radio” information on the dashboard’s multi-information display screen. This unit always reverted to showing the Navigation Map after the 10 second “radio” display expired. 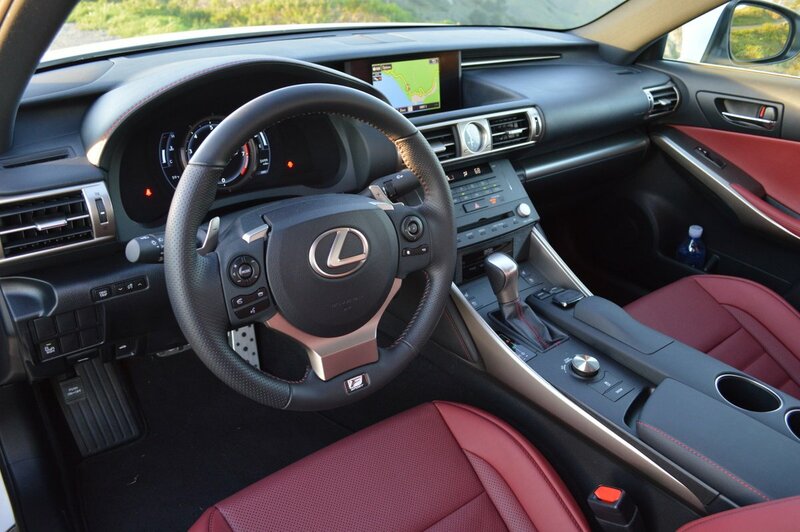 Another annoying trait is the valet system’s insistence on folding the steering wheel up and away every time you shut the IS350′s ignition down. No amount of exploring menu options for alternate settings redressed this behavior. For $75,000 you would be hard pressed to locate and purchase a better long distance cruiser than this IS350. 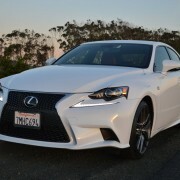 For just $49,205 as fully equipped, this Lexus stands out as one of the brightest stars in the sports sedan firmament. 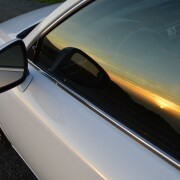 If you’re in the market for a BMW, you owe it to yourself to explore this alluringly silky option from Japan.